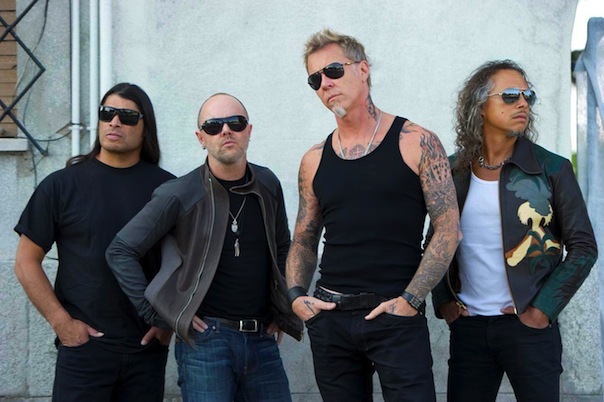 This Thursday, Metallica are splitting up – just for the day – to attend premieres of their new feature film Metallica Through The Never all across the country. Frontman James Hetfield will be in San Francisco on Thursday to host a 10PM showing at a theater to be determined, and midnight at the AMC Emeryville on Thursday Drummer Lars Ulrich will host two screenings in Los Angeles – 10PM at the Chinese, and the following day at Norwalk’s AMC Norwalk and Riverside’s AMC Tyler Galleria. guitar Lead guitarist Kirk Hammett will host the 10PM Thursday showing at the AMC Mayfair in Wauwatosa, WI and midnight showing at the AMC Woodfield in Schaumburg in Chicago, IL. On Friday, Hammett will head to the AMC Gulf Point in Houston and the AMC Northpark in Dallas. Bassist Robert Trujillo will be attending the Thursday screening at the AMC New Brunswick in New Jersey at 10 PM, and midnight show at Philadelphia’s AMC Franklin Mills. On Friday, Trujillo will attend screenings at both Washington, D.C.’s Regal Majestic 20 and Boston’s AMC Boston Commons. 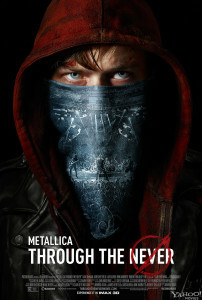 The film, which premiered in Toronto, stars Dane DeHaan and was written by Metallica with director Nimrod Antal. The film is being released via Picturehouse Films in IMAX 3D on September 27, and in theaters everywhere on October 4. 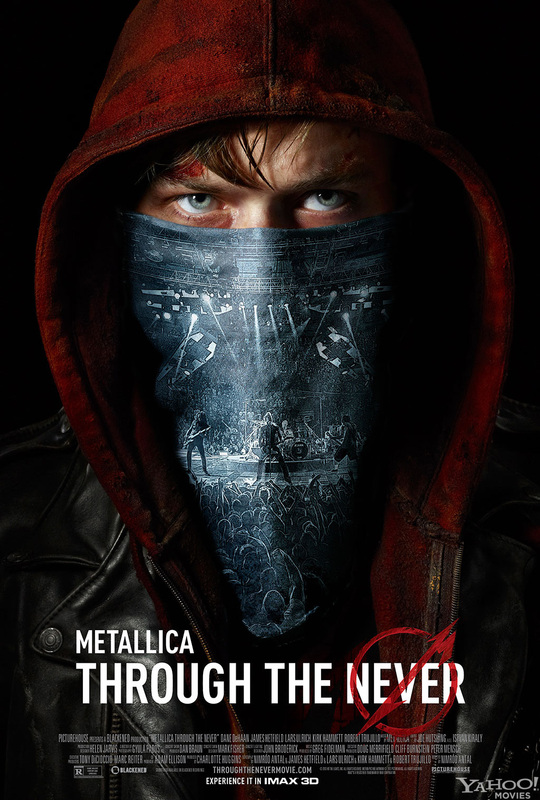 Tickets for the Trujillo-attended screening at AMC Franklin Mills can be purchased here – Metallica Through The Never Philadelphia. Metallica have been touring relentlessly since 2008 off their Grammy Award-winning album Death Magnetic. While the band did not tour as extensively in 2012, with the help of several major festival appearances (including their very own Orion Music + More Festival), they hauled in $86 million. Their last studio effort saw the band return to form. Both heavy and thrashy, it’s a nice mix of …And Justice and Black Album. The disc debuted at #1 on the Billboard Top 200, and has since gone multi-platinum. It was nominated for 5 Grammy Awards, winning two of them (“Best Recording Package” and “Best Metal Performance” for “My Apocalypse”). Tagged cinema, Death Magnetic, feature film, film, heavy metal, James Hetfield, Kirk Hammett, Lars Ulrich, Metallica, Metallica movie, Metallica Through The Never premiere, movie, movie premiere, music, music movie, Picturehouse Entertainment, Picturehouse Films, Robert Trujillo AMC Franklin Mills, Robert Trujillo bassist, Robert Trujillo Metallica, rock music, The Rock Revival, TheRockRevival.com, Through The Never, Through The Never premiere, Warwick bass.